Interior Features Bluestone spacious end unit! Very private 3 bedroom, 2.5 bath townhouse with 2-car garage and gated community entrance! Large floor plan with bonus room near kitchen. 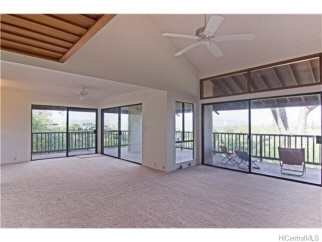 Covered wrap-around lanai with gorgeous views and great breezes for outdoor living and entertaining. Close to Kailua and Lanikai Beach. Resort like living with many amenities including, pool, sauna, whirlpool, tennis, security & more. Call Vickie Graham RB-21122 Hawaii Pacific Realty Group for showings at 808 218-5057.